As part of its official launch, the Foundation presented its first grant to Oliver Percovich, ESOMAR Congress 2013 Keynote and Executive Director of award-winning NGO, Skateistan. Using skateboarding as a tool for empowerment, Skateistan connects youth in Afghanistan and Cambodia to education through the sport of skateboarding. Over 50% of the students are street-working children and 40% of those attending the organisation’s schools are girls. We’re very honored to be the recipient of the first grant from the ESOMAR Foundation. This generous grant will help us to continue providing new life opportunities to some of the hardest to reach girls and boys in Afghanistan. said Gunilla Broadbent (President of the ESOMAR Foundation) . What he and Skateistan have accomplished in war-torn Afghanistan is a true inspiration to all of us and nothing short of amazing. 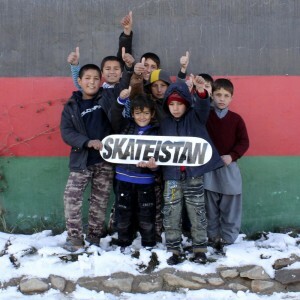 We are delighted to contribute to Skateistan’s cause.